Javon Inman currently lives in the Washington, DC metro area with his wife and their two children. 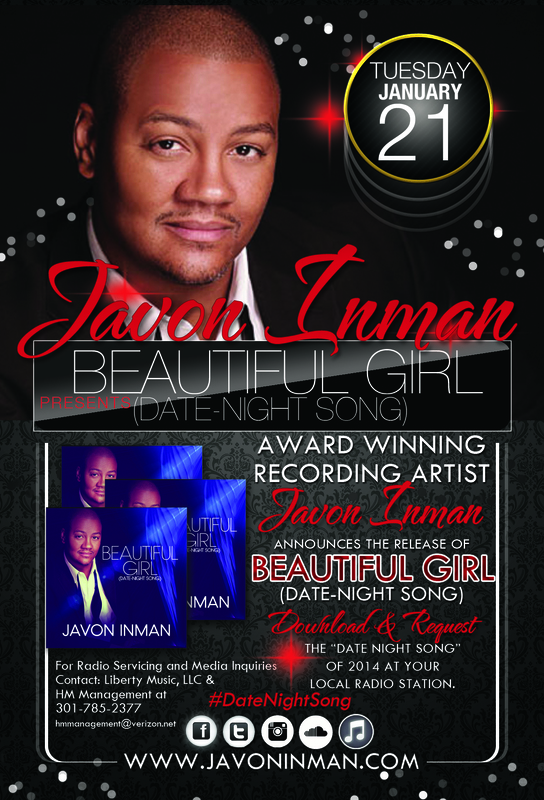 With eleven (11) music awards under his belt, including Male Artist of the Year and CD of the Year, American Gospel Singer/Songwriter Javon Inman, prepares to color outside of his traditional lines with an Urban/Adult Contemporary and Gospel single. Inman sets his sights to inspire relationships with his new music, the “date-night song” of 2014, Beautiful Girl – a much-needed recipe for romantic fire. Having already received rave reviews from music industry veterans, Inman’s new song inspires men to step up in their relationships and to woo the women in their lives. The song “Beautiful Girl” was inspired by his wife of twelve years and delivers an intimate lyrical win over smooth R&B/Neo Soul melodies. 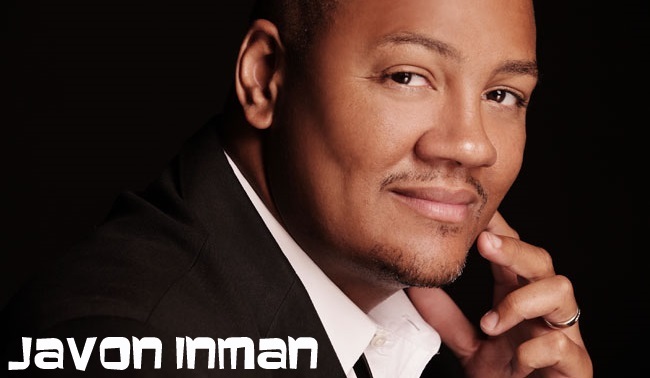 Inman’s Gospel roots can be heard throughout the song and he sings with a passion reminiscent of Marvin Gaye and Frankie Beverly. Inman has been budding national artist for years. Born in Canton, OH (U.S.A.), Inman was raised in a God-reverencing home with his parents, brother and sister. 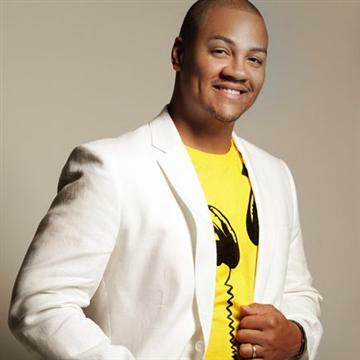 He grew up singing in church and the music ministry would prove to be his greatest training ground. 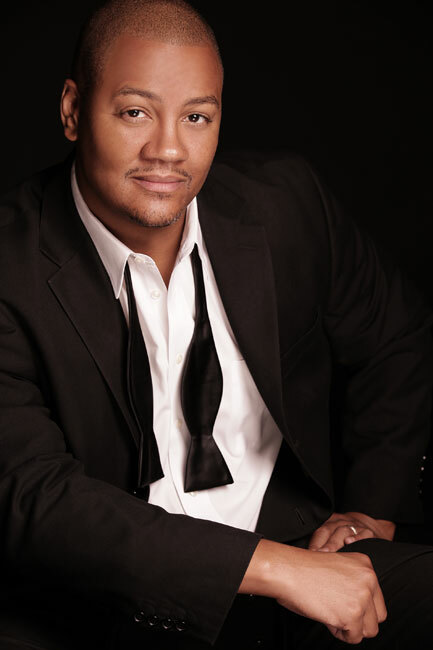 His parents recognized his God-given talent and made certain that he actively participated in All-State choirs, musical theatre productions and Gospel choirs. 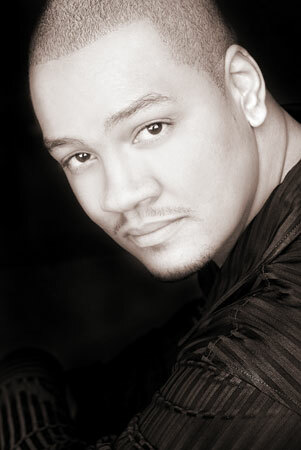 As a teenager, Inman was a member of an R&B group in which they received recognition throughout the Washington, D.C. Metro area. The CBS Star Search Semi-Finalist, who sang his first solo in his grandfather’s church at age four, has written well over 200 songs – many of which are eagerly awaiting their debut. 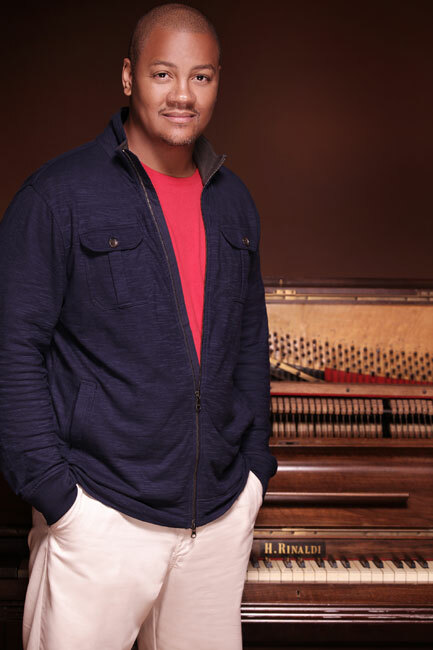 Remarkably, the soul singer’s ground-breaking CD “Heart of a Worshiper” yielded radio hits “Come Home,” “Unleash Your Power” and “Redeemer” propelled him as one of the top recording artists to watch stateside and abroad. 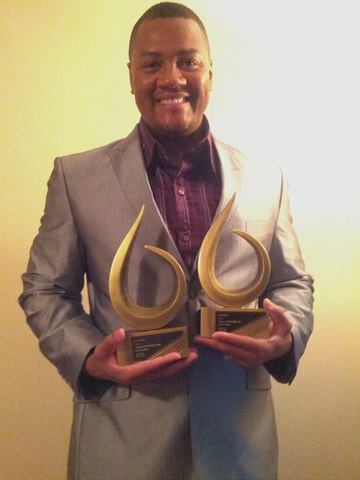 Javon’s music can be heard on over 50 radio stations across the U.S., as well as in the U.K, the Caribbean and Africa! Inman’s eyes light up like Christmas when asked about his new song, Beautiful Girl. “It’s one of the greatest songs I’ve ever written because it’s just very honest. It exposes another side of my heart that many people don’t know and I’m excited to share it,” he says passionately. “The musicians (Clifford R. Flowers, Duane X. Gray, Todd Gholar, Eric Burke, Antione Hookes, Jr., and David Tauler) set the track on FIRE! But it’s the out-of-the-church-box message that delivers and definitely pushes the envelope. 2013 CHRISTIAN JUKEBOX RADIO Special Achievement Award, Gospel Blue M.I.C.